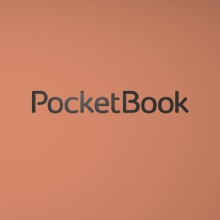 In a recent comparison test of e-readers run by the well-known tech magazine Computerbild (issue 02/19), the PocketBook Touch HD 3 prevailed against both the Tolino and Kindle competitors, taking first place. The latest e-reader launched by PocketBook scored well with its high-resolution E-Ink-Carta™ display equipped with SMARTlight lighting. Voted ‘the best display in the visual testing’ by Computerbild, the Touch HD 3 offers readers many benefits. The advantages that come from the PocketBook Touch HD 3 are ‘principally attributable to its independence,’ says the tech magazine. The number of book formats recognized by the e-reader is unsurpassed by its competitors. This gives the reader the greatest possible freedom and flexibility in the selection of e-content. The e-content can even be downloaded directly onto the e-reader via Onleihe, from a local library. 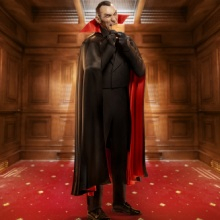 The fact that the Touch HD 3 is also able to play music and audiobook files in mp3 and m4b format is another advantage. Finally, the HZO™ water protection means the PocketBook Touch HD 3 remains undamaged when temporary plunged into water. Again, this is another convenient feature that gives the user more freedom – there is no restriction between reading and having a bath or enjoying a day out at the beach at the same time. 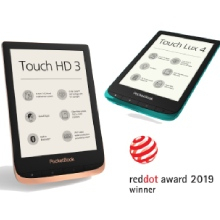 The simple conclusion: ‘The third one is the one to read better with.’ – In this special case, the third one is PocketBook’s number one - the PocketBook Touch HD 3.